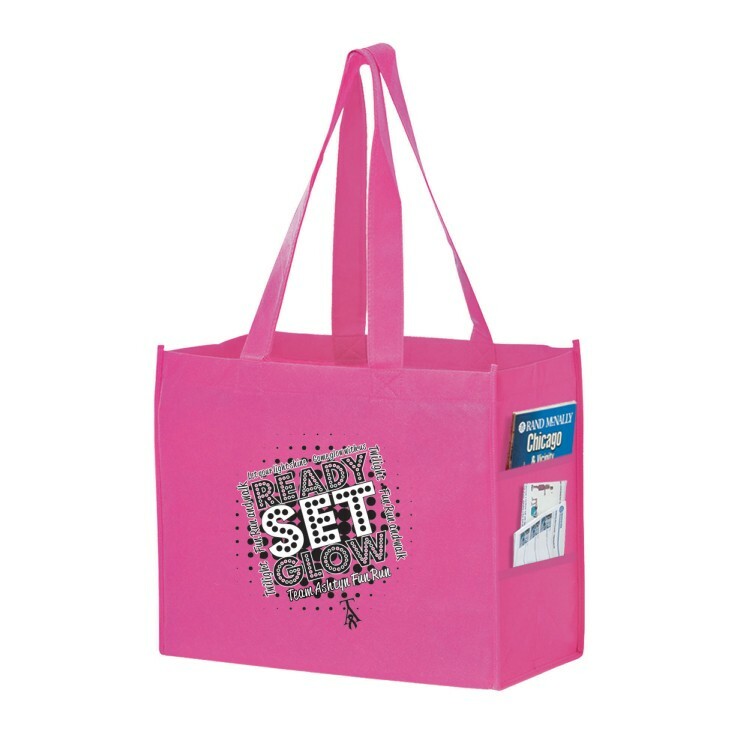 This 80 GSM PINK non-woven polypropylene Awareness bag is designed to have the look, feel, strength and quality of cloth. It has side gusset pockets and has stitched seam on the sides and bottom gusset. It is tear resistant and water repellent. This tote measures 16”W X 6”G X 12”H and has a 28” over the shoulder handle. Other bag choices include; plastic, paper, frosted non-woven (polypropylene). Our bags are used for the following; Health Care, Retail, Beauty Salons, Jewelry Stores, Grocery Markets, Trade Show and Conventions, Patriotic, Realtors, Insurance, Food Take Out, Financial, Education...good for any business on any street! 100 per case @ 14 lbs. • Price includes one color silk screen on one side.